Choose from white, wheat, spinach, garlic pesto or sun-dried tomato wraps. Lettuce, tomatoes, cucumbers, onions, black olives, mild banana peppers, pepperoncini, pickles, red crushed pepper, shakers, oil, mayo, Thousand Islands dressing, mustard, horseradish, hot mustard, provolone, Swiss, American, pepper jack. 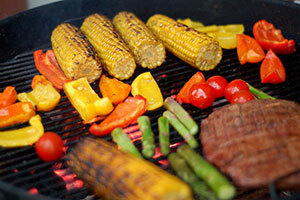 Fresh Cut Steaks • Chicken • Specialty BBQ Sauces • Homemade Salads - Potato, Macaroni, Pasta or Broccoli. Copyright © 2019 · Cedar Point Market · Site Design: Riverside Media, LLC.· All prices are subject to change without notice.